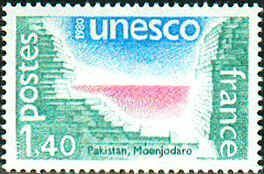 Located on the west bank of the River Indus, 350 miles from Karachi, Pakistan lies Moenjodaro (Mound of the Dead), an archaeological site which has been rated amongst the most spectacular of the world's ancient cities. 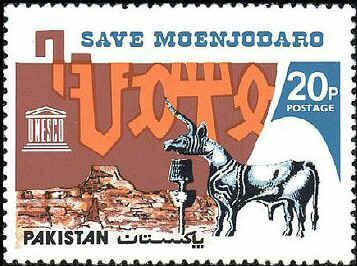 Considered as one of the earliest and most developed of urban civilizations, Moenjodaro flourished from 3rd till the middle of the 2nd millennium BC, when it vanished, leaving only traces of its culture. Moenjodaro, along with Harappa - some 800 miles away - formed part of the Indus Valley Civilization and it is now generally believed that these were the cities, referred to in the Rigveda, that were destroyed by Aryan invaders. 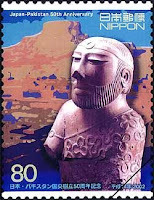 Mehrgarh, the oldest Civilization (7,000 B.C), remains of which were found in the district Kachhi of Balochistan recently, was the pioneer of the Indus Valley Civilization. 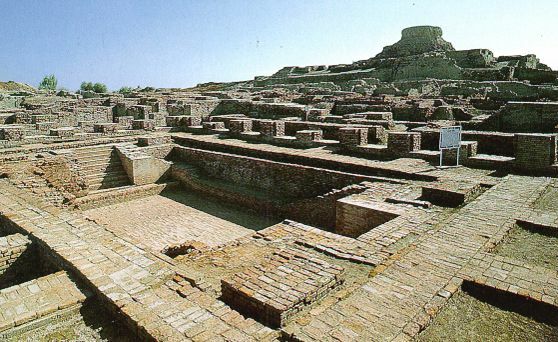 This was followed by the Kot Diji as a gap filler till the true Indus Valley Civilization came to surface with its full might. 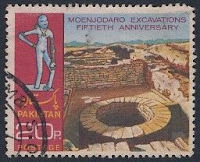 Due to its importance, it is also known as the cradle of civilization. 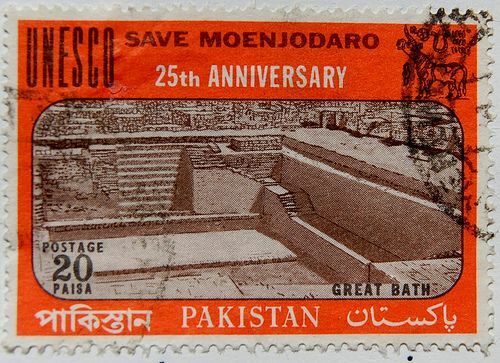 The Moenjodaro ruins are badly affected by the salinity and weather hazards and UNESCO has included the ruins of Moenjodaro as one of the World Heritage Sites for preservation and included in the list of Ramsar sites. Concerted efforts are underway under the patronage of UNESCO to save and preserve these majestic ruins. 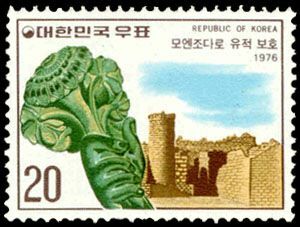 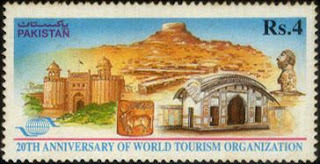 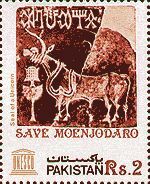 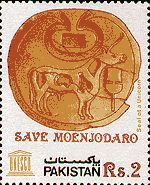 A number of countries, other than Pakistan, have issued commemorative stamps on the theme of Save Moenjodaro, some of which are herein under. 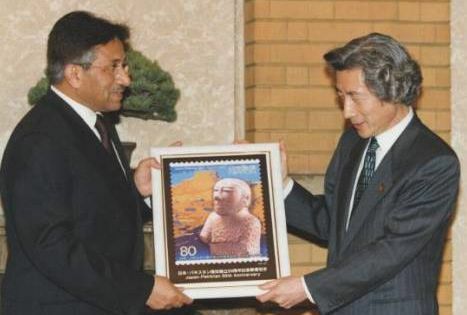 12 April 2002 was celebrated to mark the 50th anniversary of Pakistan - Japan friendship. The then Japanese Prime Minister presented a souvenir of a Japanese stamp to the then President of Pakistan during latter's visit to Japan.